Designed for those who have completed the Fundamentals curriculum and/or have attained at least a 1st degree white belt, the Intermediate curriculum will prepare you to get your blue belt, begin sparring, and participate in the Advanced classes. Here, you progress in a systematic fashion to improve your understanding, reflexes, and overall development in the sport. Once again, this is part of our unique system that has produced more jiu jitsu champions than any team in history. 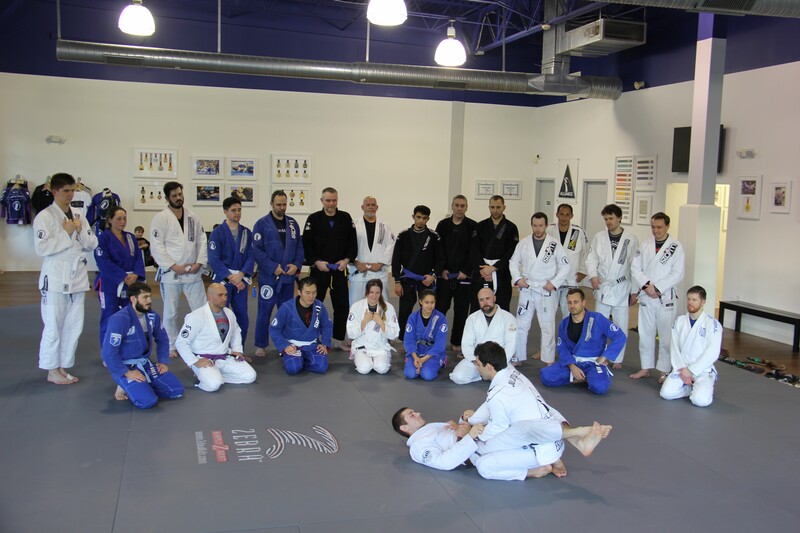 While the intermediate class was designed with the white belt in mind, it is also very beneficial for more advanced students looking to perfect their technique or people who may be returning from a layoff.